IBulk Rotex Minerals Separators were specifically designed to meet the demanding screening requirements of minerals applications. The Minerals Separator provides unsurpassed screening performance when sharp separations and high efficiencies are required. 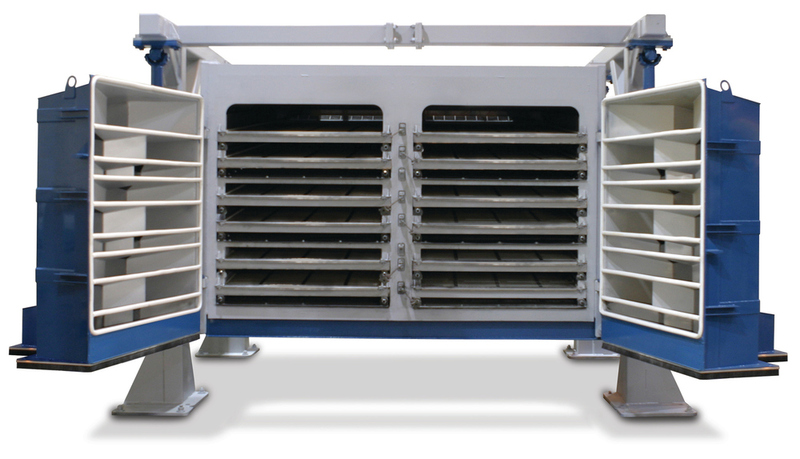 The Minerals Separator is able to maximize product recoveries at material temperatures up to 200°C. Standard features include a patented cam lift rail system for quick screen change capability and sleeveless inlet/outlet connections. The unique elliptical – linear motion (patented) of the Minerals Separator provides unsurpassed screening?performance to accurately and efficiently handle coarse to fine separations from 6.3mm to 150 µm.